Rattlesnake Removal is not for everyone! But we saw Lisa Ricigliano, the human pest control specialist, loves animals. Diamondback Rattlers as tall as a person are no different for Lisa. 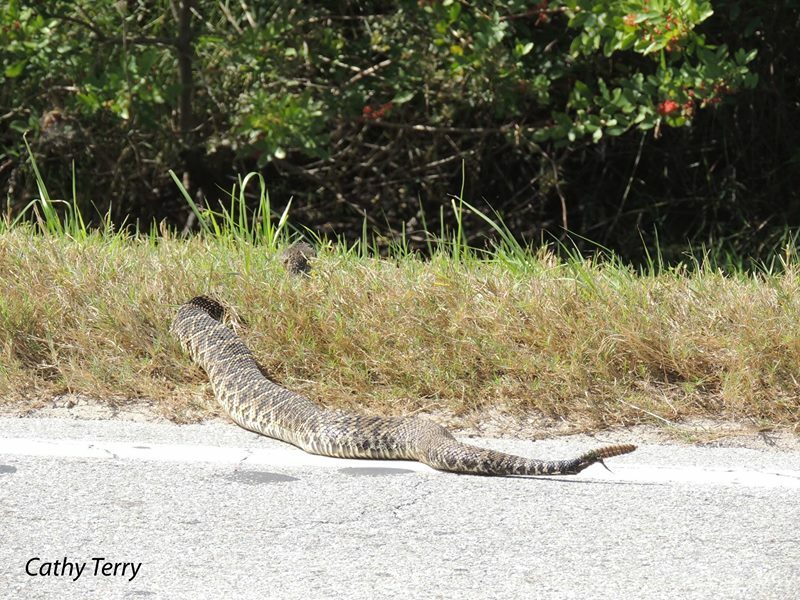 Quoted in a recent article, Lisa again shows why she is the wildlife removal expert to go to…even when it comes to 6-foot long rattlesnakes in Central Florida. BARTOW (FOX 13) – A Bartow couple on a birdwatching trip came across something that really ruffled their feathers: A 6-foot, 100-pound diamondback rattlesnake. Lloyd is thankful he didn’t step on the snake when he got out of his truck. It was close, though. “The snake could have easily struck if he stepped on it, and that would have just been out of self-defense,” said Lisa Ricigliano, the owner of L&R Wildlife Services. Cathy posted the photos on her Facebook page and they went viral. “Probably one quarter say, ‘You should have run it over. Why didn’t you kill it? Boy, that would make a great pair a boots, probably a belt,’” Cathy recounted. “Is that going to stop you from going back into nature again?” FOX 13’s Ken Suarez asked.